Have you ever wondered how to find the perfect wine to go with your meal? This may sound obvious, but if you’ve been recommended a great pairing, and it’s a style of wine you loathe, then no matter how ideal a match they may be it’s less likely you will enjoy the experience. So if you know that you enjoy a certain kind of wine, it’s a good place to start when selecting wines to match your special meal. People often feel embarrassed that their wine or food choices will not be sophisticated enough, just remember wine is all about personal preference. Be brave – if you want to drink a medium sweet white Zinfandel rosé with your rare steak, then go ahead and give it a go. If you fancy sipping your favourite Chablis with an accompaniment of Pringles, then by all means tuck in. If you do discover a great, unexpected and unknown combination – by all means let us know, we’d love to give it a try! Ever questioned why some people are drawn towards savoury foods and others more towards sweet flavours? Why some people prefer to only drink slightly sweet, light bodied white wines and others enjoy the heaviest and richest red wines going? This ‘decision’ may be informed by your genetics, or more precisely the number of taste buds on your palate. Having a quick look at your tongue in the mirror will reveal a whole host of lumps and bumps, these taste buds perceive salt, sweetness, acidity, bitterness and umami savoury character in the food that we eat. The number and location of these taste buds varies enormously from person to person and so it will come as no surprise that we all taste food and wine very differently. The key is to trust your own palate, if you do not enjoy a particular food and wine combination then don’t have it again, no Sommelier or wine expert can anticipate your preferences. Consider when you brush your teeth then immediately drink some orange juice. Does it taste strange and incredibly acidic? The orange juice has not changed, the toothpaste has changed your perception of the orange juice. The same thing happens when tasting a wine immediately after sampling a food high in salt, acidity, sugar, fat or chilli – you perceive the wine as tasting different. For most people a good food and wine match is one that makes the wine seem softer, sweeter and fruiter. Now for some home-schooling – prepare some salt, lemon and a piece of salty mature cheddar cheese on a plate. Grab yourself a glass of young Chianti Classico or any wine that has refreshing high acidity and high tannin (that’s the bitter drying part of red wine). Have a sip of the wine and concentrate on its astringency and bitterness. Put some of the lemon juice and salt on your tongue and have a chew – this might seem strange but stay with me – when you re-try the wine now it will be softer, fruiter and much smoother. Do the same with a bite of the salty cheddar cheese and have another go. The fat in the cheese will make the wine seem even smoother. This is the magic triangle of salt, acidity and fat, and having these on your palate before an acidic, astringent and tannic wine will help soften it up. The key to getting the best wine match for a meal is to understand the base components of the dish. Classic matches such as a salty rib eye steak and a tannic and acidic Barolo work well for most people because the combination of salt and fat on the steak will smooth the tannins and make the wine softer and smoother. If you don’t want to splash out on a Barolo, any high acidity and tannic red wine will work, try one from Madiran for a good value match made in heaven. This principle works well with other dishes with similar base flavours – so vegetarians could achieve the same with a fatty, salty, acidic vegetarian Moussaka for example. Muscadet or Champagne are classic matches for oysters because the high acidity in the wine is softened by the tangy lemon juice or vinegar accompaniment of the oyster. In the same way, high acidity wines like Albariño, Gavi or Chablis are also a safe bet for sipping with your shellfish. Want to enjoy a zingy white, but not a fan of oysters? A simple Tuna Niçoise salad with a strong sharp dressing will act in the same way. There is a lot more to learn, but the key is to discover for yourself and not be dictated to. Choose wines you enjoy and think about the salt, fat and acidity in your food. Most importantly, whatever budget you have, just have fun and experiment. After all, that is what wine is all about. If you want to learn more about food and wine pairing you can! 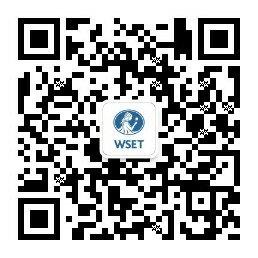 The subject is covered in our WSET Level 1 Award in Wine and the WSET Level 2 Award in Wines and Spirits course.